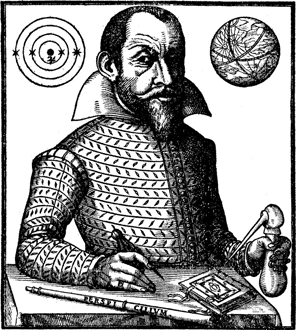 Simon Marius from Gunzenhausen, the Ansbach Court Astronomer, discovered the four largest moons of Jupiter at about the same time as Galileo Galilei in 1610, however he only published his book Mundus Iovialis, containing his findings, in 1614. Accused by Galilei of plagiarism, his reputation suffered permanent damage, in spite of proof brought to light at the beginning of the 20th century that Marius’ research had been entirely his own. At the Simon-Marius-Anniversary-Celebrations 2014 a number of events – mainly in the Franconian area – threw light on his scientific achievements. This internet presence started in the anniversary year and brings together electronically retrievable sources, secondary literature, lectures and news on Simon Marius and – whenever possible – provides convenient links. We the initiators invite you the public to make use of this multilingual portal and also to make your own contributions.